BERT McFall, who has died aged 83, was a popular and respected figure in Scotland’s athletics community for whom running was not so much a sport as a way of life. He had a deep and enduring passion for it from childhood days till a hip operation seven years ago brought an end to a long and successful career. During that time he won medals at district and national level on the track, on the road and over the country, enjoying particular success latterly as a veteran or masters athlete. He was accomplished over a wide range of distances from the mile to half marathon and represented Edinburgh Southern Harriers, latterly Edinburgh Athletic Club, with distinction. 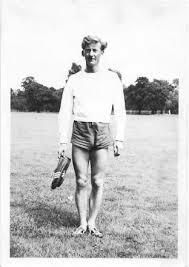 In 1961 he was ranked fourth in Scotland at 3,000m steeplechase while in 1963 he won the East of Scotland title at that event and over several years figured prominently in the national ranking lists as well as for the mile. While he enjoyed track, his favourite disciplines were cross country and road. One of the highlights of his cross country career was being a member of the Edinburgh Southern Harriers team which won the National Cross Country Championship for the first time in 1964. This was a highly sought after title and one which had hitherto eluded the Edinburgh club in their 67-year existence. In the individual race Bert finished a highly creditable 16th out of a high calibre field of more than 300. He also assisted his team-mates to silver and bronze medals in the championships on four other occasions while achieving very respectable finishes in the individual event. On the road he enjoyed success in the prestigious Edinburgh to Glasgow relay race, again for the Harriers. In 1961 and ’62 he helped win silver medals and bronze in 1964. He always ran the third leg, over his ‘home’ territory, collecting the baton at the east end of Broxburn and running through Uphall to Wester Dechmont where he handed it on. This was a demanding, hilly four and a half mile stretch, McFall being the fastest over this leg in the 1962 race. As a veteran/masters athlete he achieved numerous distinctions. He won the Scottish cross country title several times and often represented Scottish Veteran Harriers in the British and Irish championships, assisting the team to silver and bronze medals while once earning an individual silver and finishing first Scot frequently. On the track he was 1st M65 in the Andy Forbes Memorial 10km race in 2000 with a time of 41:56. Well into his 60s, he ran excellent times for the half marathon. Although very competitive, above all he loved running for its own sake. He particularly enjoyed going for ten-mile runs in the Bathgate Hills near his home, taking in Cairnpapple, Cockleroi and Binny Craig en route. Another favourite venue was Almondell Park where the steps up to the viaduct provided testing training. After his hip operation, he turned his attention to the gym, becoming a regular visitor to Broxburn Sports Centre where his competitive streak continued. A few years ago the gym hosted an open competition replicating the Empire State Building Challenge, a run up its 102 levels, on a ‘Stairmaster’ machine. Much to everyone’s astonishment Bert, in his late 70s, won. Aged 80, under monitored conditions there, he completed 10 km on an exercise bike at an average speed of about 22mph. Born and brought up at Roman Camp near Uphall, where his Irish-born father worked in the shale industry, he enjoyed a happy childhood. Running to school in Broxburn nurtured his love of the sport, which would play such a huge part in his life. Initially he worked as an engineer with Wimpey Construction before and after national service in the RAF Regiment in Germany, later joining Parson and Peebles in Broxburn. Aged 30 he changed career, becoming an insurance agent for Pearl Assurance company in the Broxburn/Uphall area. In this role he was well known, highly trusted and much liked in the local community, often referred to affectionately as ‘Bert the insurance man’, with many clients becoming friends. Thanks to his social conscience, some years ago he set up a successful ‘It’s a Knock Out’ series of competitions in Broxburn, based on the idea of the successful TV programme of that name, to give local youngsters an activity and keep them off the streets. A man of strong religious faith, he regularly attended his local Roman Catholic church. His first marriage ended in divorce. In 1982 he married Nancy Comiskey, with whom he enjoyed over 33 happy years. He is survived by her, children Stephen, Vivienne and Elizabeth from his first marriage, stepson Kevin and four grandchildren. I knew Bert from 1997, when he joined SVHC. He was a keen cross country runner, and started competing in the Scottish Athletics Veterans/Masters Championships in 1996. He finished 2nd M60 behind Tom O’Reilly in 96 and 97. In 1998 Bert moved up to the M65 age group and won his category in the 98 and 99 races, in front of Hugh Gibson and Tom O’Reilly respectively. He then missed a few years and made a come-back in 2003, finishing 2nd M70 behind Hugh Gibson. In 2004 He won M70 in front of Tom O’Reilly, then in 2005 he was 2nd just 2 seconds behind his good friend Walter McCaskey. From 1998 to 2005 Bert competed for the SVHC team in the annual British & Irish Veterans/Masters Cross Country Champs, only missing 1 year (2003 at Cardiff). At St Asaph in 1998, although over 65, he finished 1st M60 Scot and 9th overall, helping the team to bronze medals. At Bideford in 1999 he finished 1st M65 Scot and 4th overall, leading the team to silver medals. He repeated this performance at Navan in 2000. At Falkirk in 2001 and Ballymena in 2002 he again led the Scottish M65 team to bronze medals. Then in 2004, after missing the 2003 race, Bert went to Croydon in superb form, winning an individual M70 silver medal and leading the team to silver medals. In 2005 at Santry, Bert was 6th M70. With Walter 2nd and Tom 5th, they again won team silver. Bert also had some good road and track results, notably in 2000 1st M65 in the Andy Forbes Memorial 10,000m race in 41:56, less than 2 months before his 68th birthday. Unfortunately Bert was having worsening knee problems, and had to give up running after 2005, though he still kept very active in other sports.